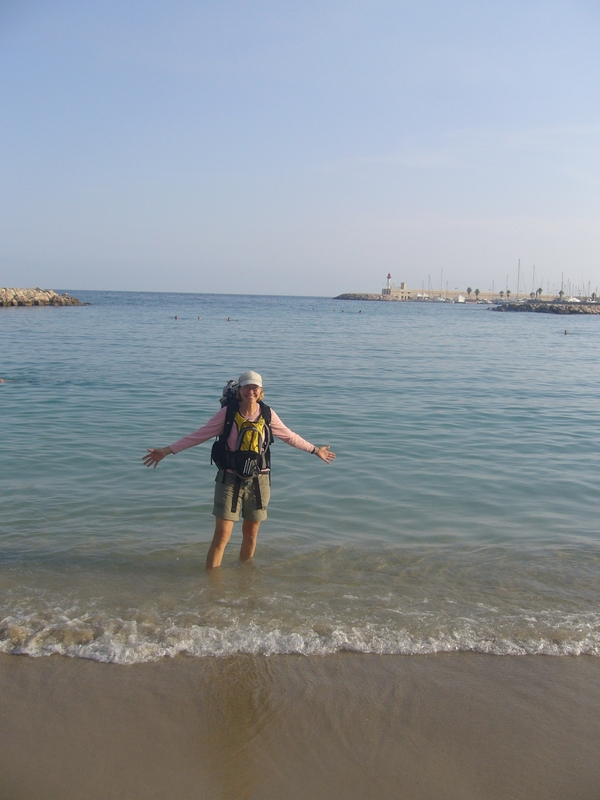 Before I get to the AT, Let me Tempt you With this Stunning European Trail! I’m excited that you’re joining me as I start this big adventure. Hiking the full length of the AT will certainly be a challenge. But add to that, figuring out how to pitch my tarp and post on this blog without my trustworthy engineer husband helping me out. However, with a whole lot of luck and diligence, things should work out. As my intro indicated, we’ve had the great privilege to live and travel abroad for many years. 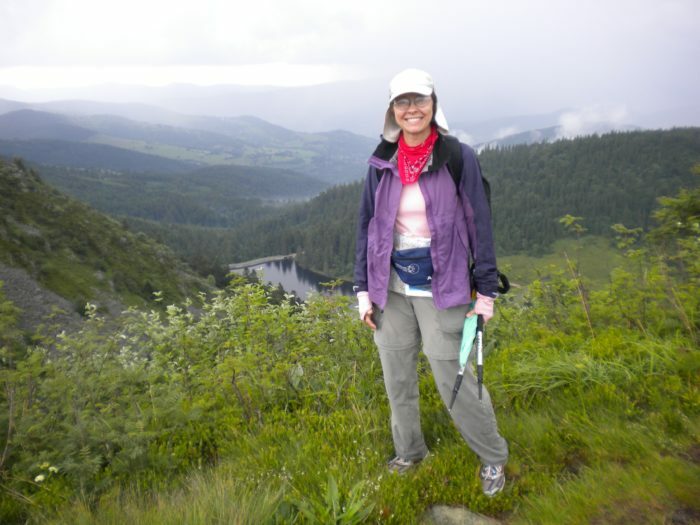 While residing in France several years ago, another trail called my name, much as the AT is presently doing. 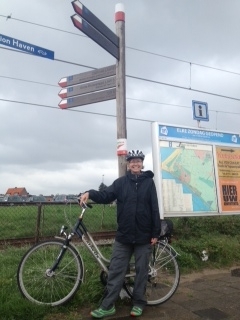 The GR5 is a 1500 mile trail that stretches from the North Sea at Hoek van Holland in the Netherlands and finishes on the Mediterranean, in France. Over a period of 3 summers of 5 weeks each, I followed this entire path, choosing to go on my own, with some friends joining me for a few days along the way. 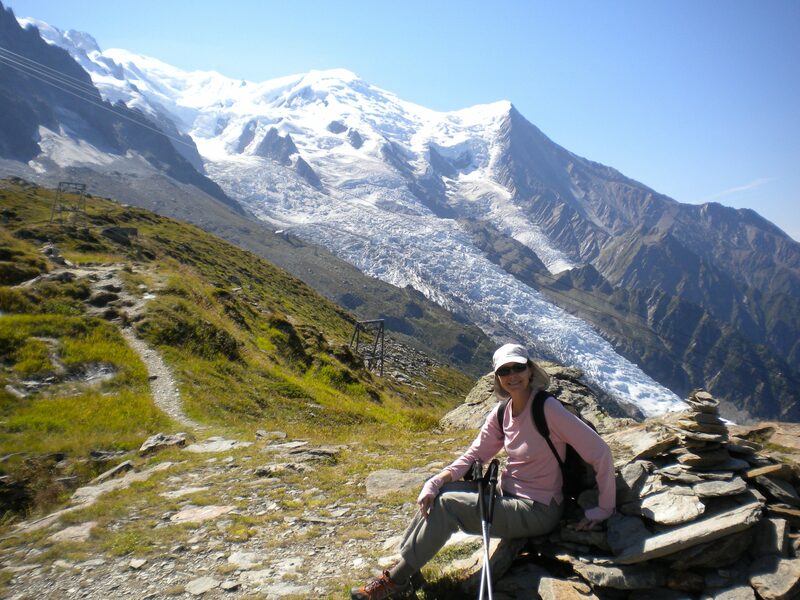 Because we lived near the Alps, I tackled the most difficult third first, going through and over the Alps from Lake Geneva to the Mediterranean. TOTALLY AMAZING AND LIFE CHANGING! 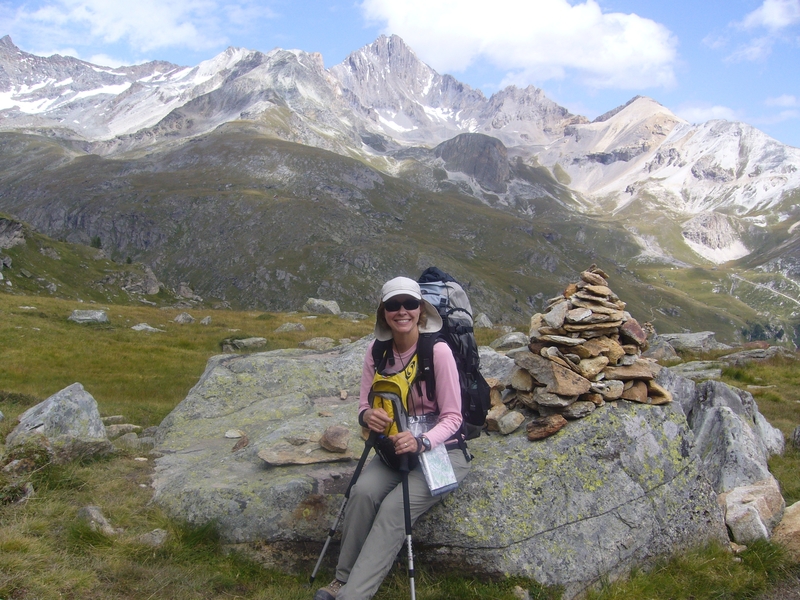 If you want a wonderful mountain and cultural adventure with lodging available in huts and small inns, this is for you. Check out David May’s excellent website at grfive.com, or the comprehensive guidebook by Cicerone Press at cicerone.co.uk. 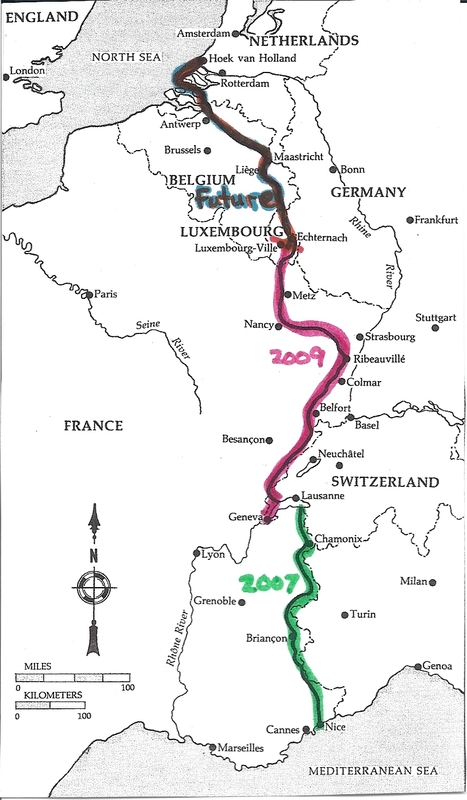 …and a few years later, I finished up the top third (Luxembourg, Belgium and Holland). Unfortunately, my trail running shoes wore out and I developed bad tendonitis, necessitating buying a used bike for the final few miles. Being Belgium and Holland, there were plenty of well-marked bike lanes to follow, which often followed the GR5. Despite this change in plans, it was a great trip. 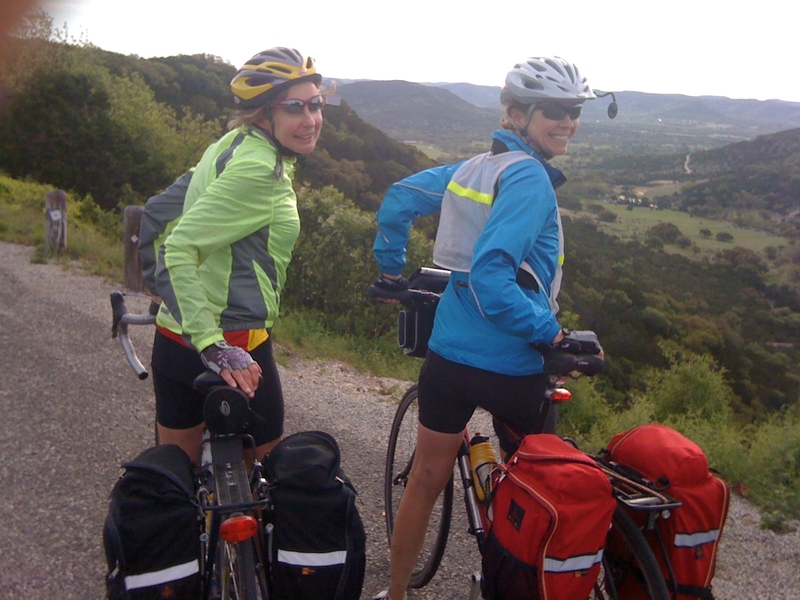 As you see, I also like to travel by bike, which resulted in a U.S. cross-country ride with a close friend in 2010. We followed the 3100 mile Southern Tier route outlined by adventurecycling.com, from San Diego to St. Augustine, FL. Our engineer husbands and a sweetheart of a dog provided support from the comfort of a car for the first 2 weeks. We didn’t really want to be stranded in the deserts of Arizona, NM or Texas. After parting ways in El Paso, we covered the next 4 weeks on our own, being joined by another cycling friend for one of these weeks. What a wonderful adventure! We averaged 80 miles per day and indulged in motel rooms every night. We traveled very light, thanks to no camping gear or food prep. Yes, we were spoiled in that way. And loved it. And now, let’s get ready for the AT! Thanks for indulging me during this trip down memory lane. Our past experiences certainly shape who we are today, but I’m ready to have a new adventure. And, as I said in my intro, this time I won’t have the luxury of hikers’ huts or hotel rooms every night. I look forward to the challenge of living outdoors for 6 months or so. Fingers crossed. Please join me in future postings, as I share info about our recent training in some pretty amazing locations. I’ll also hit on my gear and food prep. My sewing machine and dehydrator are working overtime these days. Till then, happy hiking, wherever you are! Great stuff mom! You’ve done some amazing trips and this next one is going to rank right up there with the rest of them. I’m looking forward to following along… from the comfort of my couch. Now if you’ll excuse me, I’m off to Safeway.